Kona Shen is the Founder and Director of Global Outreach And Love Of Soccer (GOALS), a non-profit organization based in Léogâne, Haiti. Her organization is improving the quality of life today and develops new leadership for tomorrow through youth soccer. 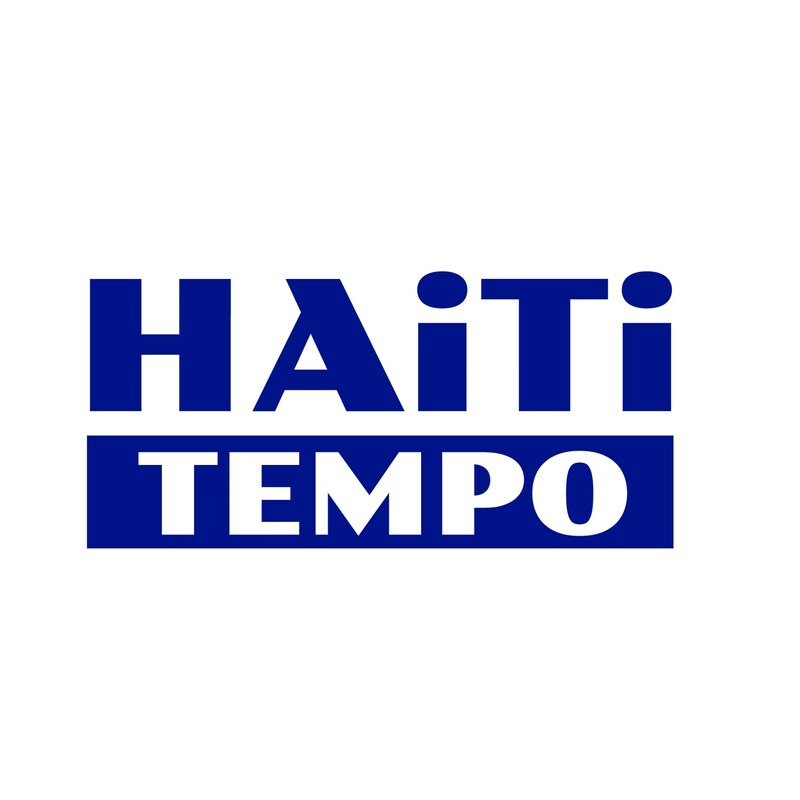 Kona talked to haititempo.com at great length about GOALS Haiti and herself in this interview. Hi Kona, let’s begin by telling us a little bit about yourself, your background and experiences? Kona: I grew up in Seattle, WA and graduated from Brown University in 2010. As a teenager, I was passionate about addressing social inequality and making a difference in the world. In high school, I worked with organizations that addressed homelessness and began studying global poverty. In college, I began focusing on Haiti. I was, and still am, intrigued by the complexity of the country, its rich culture, and its multiple challenges. After graduating, I founded GOALS. Our mission is to uses soccer to engage youth in community work and education to improve quality of life today and develop new leaders for tomorrow. Programs include local teams, health education, and scholarships. We’ve helped over 6,300 people to date. What motivated you to start Goals Haiti? 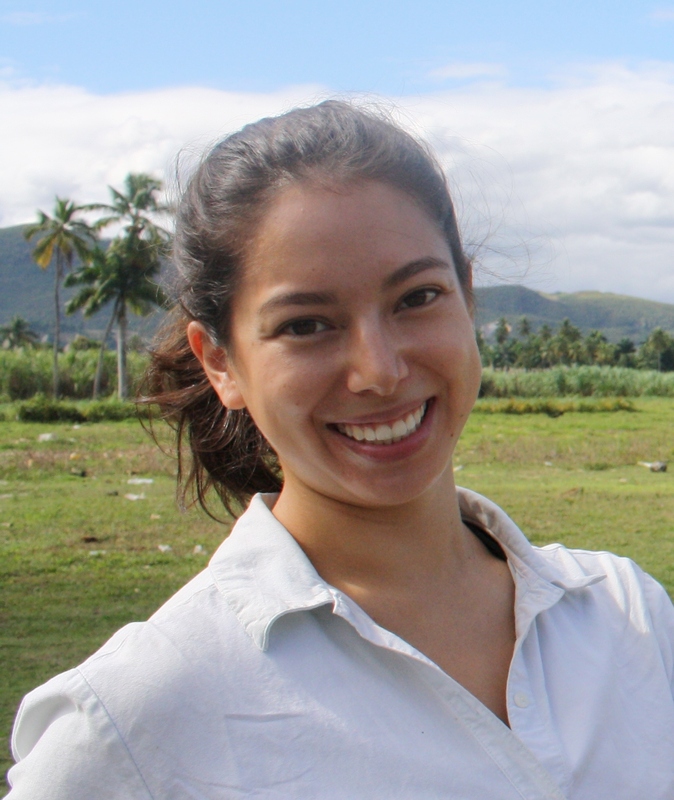 Kona: I began volunteering in Haiti in 2007, when I visited Léogane for the first time. I taught English, played soccer, learned Creole, and made friends. I always wanted to give back to the Léogane community, and this is exactly where GOALS began working in 2010. In March 2010, I returned to Léogane, Haiti for a post-earthquake relief trip. During my trip, I saw something incredible: a group of boys had used rubble to create goalposts and were playing soccer in the street. They were survivors, surrounded by destruction, sleeping under tarps, and mourning their losses. But in the moment, none of that mattered. They were completely absorbed in the game, shouting, laughing and cheering. Their joy, and a temporary sense of normalcy, was palpable. I realized that soccer had the potential to bring people together to create simple solutions with big results. What were/are the challenges you face in running the Organization, and how do you meet them? From your perspective, why is it that Non-Profit Organizations have not done much in Haiti? Kona: Again, this idea of “aid dependency” can be a big barrier to achieving results. Unlike the traditional approach of large agencies, we never wanted to assume that we know more than the community we’re trying to help. It seems that a lot of the problems facing non-profits in Haiti come from an unwillingness to advance long term, sustainable change by engaging community members and listening to what they have to say. We try to avoid those pitfalls by relying on community buy-in, local leadership, and volunteer service to create change. What is GOALS Haiti relationship with other non-profits, the government and other sports entities? Kona: While engaging communities makes our ongoing projects possible, formal partnerships enable us to increase our impact. Joint projects have included: building emergency shelters with Samaritan’s Purse; distributing water filtration systems with Waves4Water; promoting peace with United Nations peacekeeping forces; and improving public health through tournaments with UNICEF. Through medical partnerships, we continue to serve rural populations with mobile clinics that have provided deworming to prevent disease and malnutrition; pre-natal education and specialized women’s clinics; vitamins and medication; and hypertension and diabetes screenings. In the US, high-level partnerships have included: broadcasts of promotional GOALS videos on FOX Soccer; a large donation of Team USA equipment from USWNT goalkeeper, Hope Solo; and autographed memorabilia and VIP on-court experience donated by the New York Knicks. 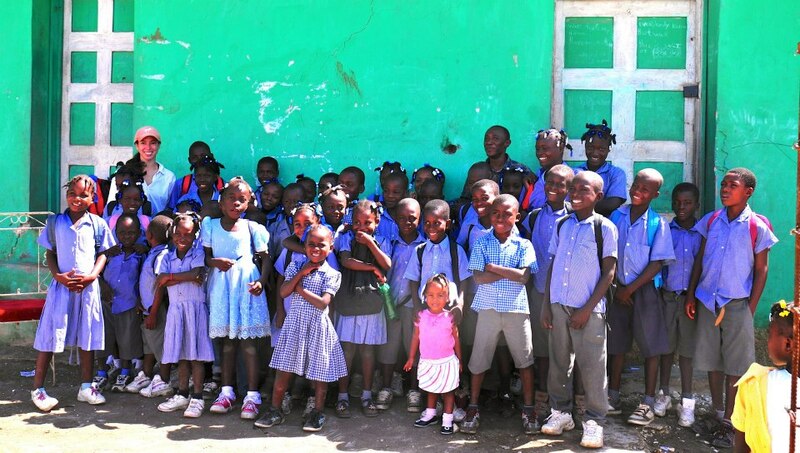 Can you tell us about some of your proudest accomplishments with GOALS Haiti? Kona: I’m very proud of our impact, and of the quality of our programs. Children who began the program in 2010 have been transformed. Even if they’ve never been inside a classroom, they understand how to prevent diseases, plan projects, and create change in their communities. Currently, GOALS’ daily soccer, service and education programs reach over 600 boys and girls, ages 7-18, each month at four different sites. We have directly impacted over 6,300 people to date. 27 of our participants receive full high school scholarships. I’m also excited by our emphasis on gender equality. By requiring communities to support boys and girls teams equally, GOALS is one of the most gender equitable sport-for-development projects worldwide. In our first two years, GOALS established itself as a global leader in the field and was awarded the “Best New Project” honor by Beyond Sport, presented by Tony Blair in London. Were you involved in Soccer before founding GOALS Haiti? Any other sports? Kona: I’ve always played sports, though I was never an elite soccer player. When I began to create GOALS, I really thought about how these teams influenced me growing up. For me, it was less about the technical skills than it was about the camaraderie, discipline, and hard work that formed a strong team. Kona: At our sites, programs engage children in soccer, service and education activities every day, followed by a snack or meal. Throughout the month, there are parent meetings, local development projects, public events, mobile clinics, and other special initiatives. We promote health, education, leadership and gender equality, but it’s all tied to soccer. My responsibilities vary, but they include overseeing staff, coordinating programs, fundraising, outreach and administrative responsibilities, working with volunteers, reporting to the Board of Directors, donor management and partnership development. 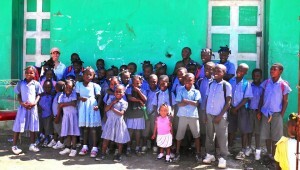 How can one get involved with GOALS Haiti? What are your hopes for GOALS Haiti in the longer term? Kona: Long-term, my objective is to bring GOALS’ after-school programs, summer camps, scholarships, and community development projects to the two million children who live in rural Haiti where no government, non-profit, or private services exist for youth or families. What advice would you have for young people who want to start their own project? Kona: Make sure you have a clear idea about what need you are trying to address, what it will take to tackle the issue, and how your organization is unique. It may be unique because it’s focused on community organizations, or girls, or a specific illness. There are many existing non-profits in the world, and rather than duplicating efforts, I always think it’s a good idea to try and ensure that you can support current successful projects or have a strong reason to create a new initiative. Kona: I’m grateful for the chance to tell you about GOALS, and appreciate the interest in supporting our mission! I would add that GOALS is a special organizations for many reasons, including the ones detailed above, but one of the best parts of our program is that we hire locally – 15 of 16 staff members are Haitian – and we are committed to long term, multigenerational change that will go far beyond disaster relief. The communities where we work are incredible, as our are participants and their family members, and we’re looking forward to accomplishing even more together in the upcoming year ahead. Thank you very much Kona for talking the time to answer our questions. Analysis - Neymar the Blaugrana: Boom or Bust?